Successfully Added Solar Powered Landscape Light - Bright Amber LED to your Shopping Cart. 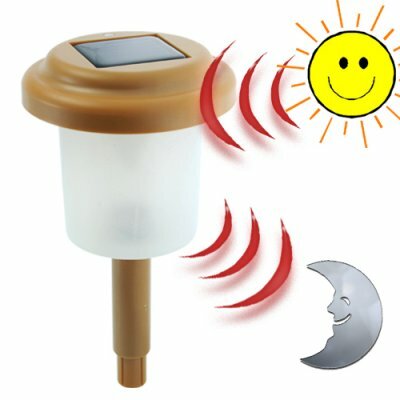 Solar Powered Landscape Light - Bright Amber LED. Simple to set up with no wires necessary, this LED landscape light adds a touch of class and elegance to any pathway or patio area. Blending in seamlessly with your garden decor, the CVSB-896 would be perfect for completing any garden project. Utilizing sunlight as its primary power source, the internal 600mAh batteries are charged during the day and power the Landscape Light at night, providing impressive, consistent light output to frame the area beautifully with atmospheric amber-colored lighting. Extremely energy-efficient and low maintenance, this highly durable Solar Powered Light produces a warm glow for accenting and decorating flower beds, patio decks, children's play areas and sidewalk borders - all without raising your electricity bill. Solar outdoor lighting requires no power source other than the sun and they can be installed anywhere with very little effort, with no wiring or electricity needed. Everything is hassle-free to setup. Best of all, with Chinavasion's low wholesale prices and quick shipping policy, you can order now and have your supply in time for that big landscaping project you are planning! How long can the lights operate continuously for? The light can run for up to 8 hours continuously on a single full charge.